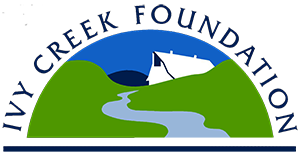 Built and maintained by Ivy Creek Foundation (ICF), the Education Building consists of a 30 x 30 open meeting space which has a maximum (fire code) capacity of 65 people, two restrooms, an office, and an upstairs storage loft. The HVAC system is an eco-friendly geothermal unit. It is used for a variety of meetings, and is stocked with 8 folding tables, 64 folding chairs, an A/V cart, projection screen, projector, open Wi-Fi, and an audio system. We also have a laptop (which can be borrowed by partner organizations if requested and necessary) and a video camera for our own programmatic use. Private Program Venue – With public bookings come private bookings. 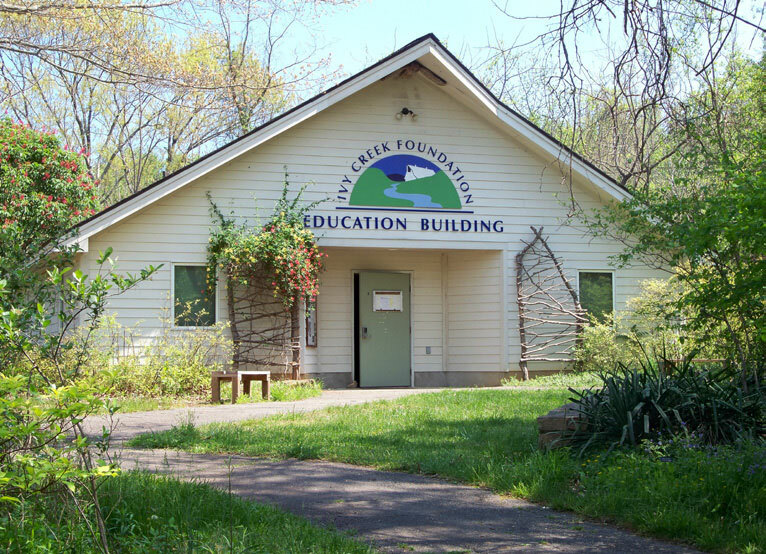 StreamWatch, Wild Virginia, the Sierra Club, the Master Naturalists, many groups and several agencies involved in environmental or conservation work regularly and frequently book Ivy Creek’s Education Building for skill trainings, conferences, strategic planning sessions, and other fora. Often these bookings are included in an annual organizational membership fee. Sometimes, an unrelated group prefers to rent the space outright. The rental fee is a flat $100 for any organization or agency except the City and County (see below). Membership Bookings – In 2013, we introduced the concept of opening up the Ed. Bldg. to be rented by members in good standing above a certain contribution level for private functions. City/County Bookings – In recent years, Ivy Creek has become a rather popular meeting space for various departments in the City and County government. These are free of charge, because they own the site. In January, we host a “Day of Cleaning” event and ask our volunteers and partner orgs to come lend a hand with special once-a-year maintenance (e.g., dusting down the fans, rafters, and walls; cleaning out the storage area upstairs, wiping down the cupboards). Private parties and special occasions, except when requested by a current member of Ivy Creek (see above). 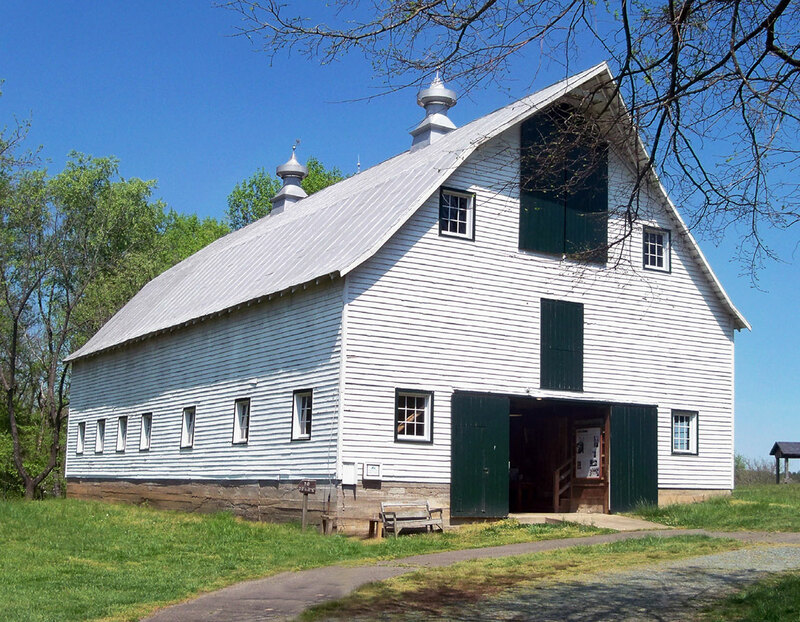 Conly Greer’s barn was renovated in 2011 and reopened to visitors in 2012. Although not a climate controlled space, it can be rented. 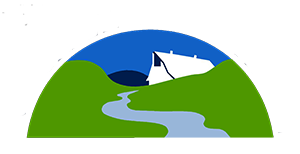 It currently houses several activity tables, a display of old agricultural tools, and several educational panels on local natural and historical features of ICNA. The upstairs of the barn is temporarily closed to the public. Plans for new uses of the Granary are being considered by Education Committee, and from there will be given to Buildings & Grounds. Regular maintenance of the Barn falls to staff, the Buildings & Grounds Committee, and the Barn Docents, with the Education Coordinator taking point. Once a year, usually in early Spring, B&G is asked to add “barn cleaning” as a workday item on its schedule to give certain areas a solid going-over. There are eight miles of trails on the grounds of Ivy Creek Natural Area maintained by the Trail Stewards under the auspices of the Buildings & Grounds (B&G) Committee. Phil Stokes is the current B&G Chairperson and Howard Davis is the current lead Trail Steward. The Trail Stewards and other members of B&G keep the trails open and clean them up after storm events, replace markers and signage along the trails, and keep a log of any trail clearing activity. In addition to the trails themselves, ICNA has become home for several demonstration gardens, special plantings, and “fixtures” such as feeders and bluebird boxes. The Tree Stewards planted the native trees around the “main campus.” The Native Plant Society installed the bushes and other labeled plantings. ICF in conjunction with the Master Gardeners and various gardening clubs have planned, installed, developed, and maintained the Butterfly Garden over the years. Various other contributions that support our native wildlife have been put in by Master Naturalists, Central Virginia Beekeepers Assn., and members of the Monticello Bird Club (e.g., the bluebird boxes, the honeybee colony in the barn, the chimney swift tower, etc.). Members of those groups continue to be active in maintaining and adding to those pieces. The Boys Scouts have added the bat house, wood duck boxes, a dragonfly walk, and several other features to aid our wildlife and provide passive enjoyment of the area. The maintenance of these projects, as well as various benches, signs, and subtle improvements tend to be the purview of B&G volunteers. Around 2000, the hayfields were restored to native warm season grasses which are better wildlife habitat, and we do a controlled burn of the fields every two-three years, usually in conjunction with ACPR, Virginia Department of Forestry, and The Nature Conservancy. Invasive plant removal work days are also scheduled through B&G. There are key volunteer organizations that help with this—most notably APO (service organization at UVA) and, more recently, Blue Ridge PRISM. In September 2013 and 2014, with a grant from Bama Works, ICF hired Conservation Services to undertake an herbicidal spraying of autumn olive and bittersweet at ICNA. In 2016, we received a second grant from Dominion Foundation to continue spraying and provide funds for other eradication methods. The primary tasks of the B&G Committee are to create and manage the annual maintenance plan and provide leadership and direction for the volunteers who show up on work days. ACPR provides land maintenance assistance by mowing the main area, keeping the verge around the parking lot in order, maintaining the gate, and patrolling/responding to trespass calls after dark. ACPR is also in charge of clearing the parking lot after a storm.